Thank YOU for your incredible response to my blog, HIGH EXPECTATIONS. I appreciate all the emails, comments and sharing on Twitter, Facebook, and LinkedIn. Thank you very much! I have a happy hangover. I smiled so much today my face hurts! 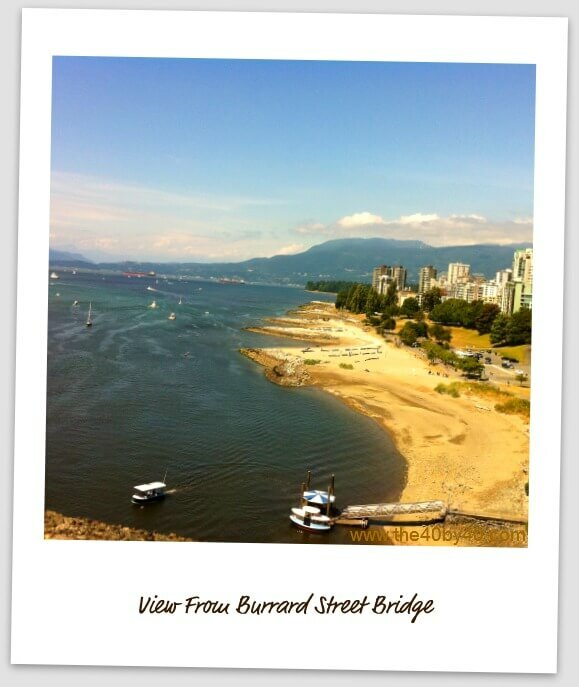 Despite running alone I had a beautiful long jog crossing both Lion’s Gate Bridge and Burrard Street Bridge. I love jogging over bridges; it’s so much FUN! Goodlife Fitness Marathon on October 9, 2011 in Victoria, BC – 51 days and counting! There’s an option of a half marathon and an 8K run or just come and cheer us on and CELEBRATE! Click HERE for more information. 1. PLAN YOUR MEALS – Make sure you’ve planned your meals the day before. The best meal for me so far is pasta with chicken, mashed potatoes and bread. Definitely filling my tank with carbs but it worked as I ran a solid half marathon the following day with lots of energy despite a wicked sore throat. 2. WORK OUT YOUR ‘STUFF’ – If you are jogging alone the long jogs can be tough. It’s a good time to think about relationships, stress at work or unprocessed pain from the past. It’s a place to feel your feelings, and then release them through the physical activity. I can’t stress how healing long jogs have been for me. 3. HITTING A WALL? I ran almost 30K this past weekend and there were moments I really struggled. I made a choice and took a couple minutes to stop and watch some baby ducks in a pond. I wasn’t there long but needed that small break to recharge not just my body but my negative thinking. It was a meditation: a calming, quieting of the mind so I could focus on the rest of the miles ahead of me. 4. HAVE A MOTTO – I can’t tell you how often a motto has saved my jogs. “I feel GOOD I feel STRONG”. If I repeat that over and over again it’s very difficult for “I feel tired, I feel hungry, I feel sore, I feel done” etc to enter my head. It’s also a great way to deal with life. Do you choose POSITIVE or negative thoughts? There’s always a CHOICE. A special THANK YOU to Benita, my chiropractor from Ocean Wellness. I knew I was out of alignment and from past experience I also know if you run a long jog that way you are going to suffer during and afterwards. I was so grateful she saw me before I ran almost 30K on Saturday. After the adjustment I felt more fluid. THANK YOU BENITA! It’s been a week full of blessings and gratitude. For this coming weekend, surround yourself with the people that make you LAUGH, give you HUGS and EMPOWER you. Don’t settle for anything less than what you deserve. If you don’t know what you deserve, click HERE.